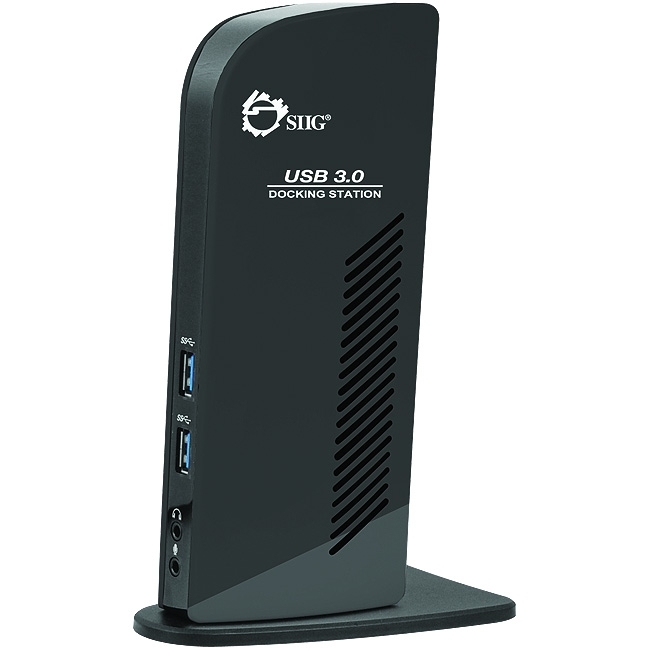 SIIG's USB 3.0 Dual Head Docking Station easily adds multiple expansion capability to your USB 3.0 enabled computer. This advanced docking station adds dual display ports (1 HDMI & 1 DVI), 6 USB ports, Gigabit Ethernet, Audio-out and Mic-In connectivity to satisfy your connectivity requirements. The USB 3.0 Dual Head Docking Station combines value and performance in a unique compact design enabling you to unleash your productivity to meet your daily computing needs. The USB 3.0 Dual Head Docking Station is FCC and CE regulatory approved, meets RoHS hazardous materials standards, is compatible with a wide variety of Windows operating systems and is backed by SIIG's limited 3-year warranty.